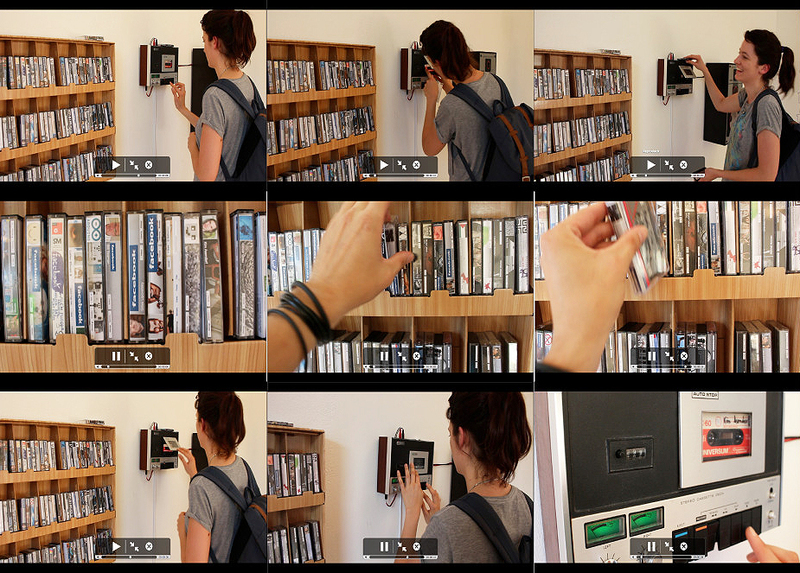 Tapebook is an exercise in media archaeology. It involves the conversion of data which are extracted from social networks into audio documents. They are recorded on cassettes. Tapebook takes the information directly from the GUI, alters the rhizomatic (root-likes) structure of the hypertext and converts it into linear sequence of sounds. 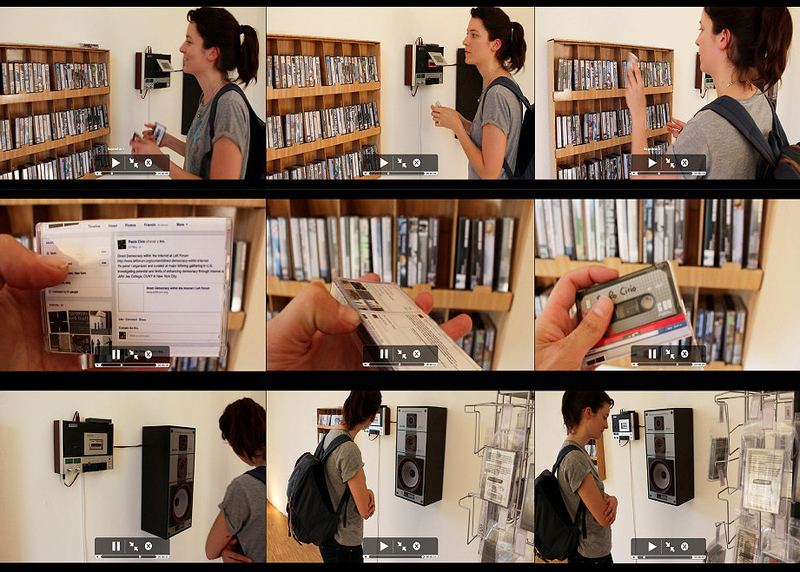 The user is able to select and listen to recordings made from the text of philosophers, artists and writers who talk about media art in their profiles. César Escudero Andaluz studied Fine Arts and Architecture & Design at the University of Salamanca, Visual Arts and Multimedia at the Polytechnic University of Valencia. Since 2011 he is researching at the Kunstuniversität Linz at the Interface Culture LAB. Working in the field between users and interfaces. His artworks have been seen in international electronic-art events, museums, galleries and conferences, including ARS ELECTRONICA (at) / ISMAR2015 (jp) / WRO2015 (pl) / TRANSNUMERIQUES (be) / ESPACIO ENTER (sp) / HANGAR. Center for Art Research and Production / MON3Y.US, Digital & Net.Art / THE WRONG, New Digital Art Biennale.